Today you will learn why Organic & Natural Shampoos are best for Hair Care. When it comes to hair, there are all kinds of advice available. While mothers have always told you to oil the hair, hairdressers will tell you about the new ‘IN’ thing! Moroccan oil, hair spa and more! However, before you pick up the choice of treatment, there are some things which we must understand first about hair care. Condition of hair is only a sign of inner health. Therefore a regular supply of important nutrients is essential for maintaining hair health. Correct balance of a healthy diet should include minerals, vitamins and protein for hair to remain strong, lustrous and shiny. Proteins – One should have enough protein in diet as hair is made of protein. Your hair will become weak, brittle and dry if you are not consuming sufficient quantity of protein in your diet. Restricted hair growth and even hair loss is a result of deficiency of protein in your diet. Vitamin C – This is vital since it helps iron absorption into your system. Foods which have a high amount of vitamin C should be consumed along with foods that are rich in iron. Vitamin C is helpful in producing collagen which is helpful in microcirculation of blood. Vitamin E – Ensuring consuming foods which are rich in vitamin E will protect hair from sun damage. Nuts are good sources of vitamin E so always try and include them in diet. Vitamin A – This is essential for making sebum, the oily substance created by hairs’ sebaceous glands. Lack of vitamin A will give you dry hair and an itchy scalp. Iron – This is an important mineral for hair. Lack of iron is a major cause of hair loss. Low iron levels in your system will cause anemia. Subsequently it will disrupt proper nutrient supply to hair follicles and effect hair growth. Omega-3 Fatty Acids – These are essential fats which can be absorbed by having the right diet. Found in cells lining the scalp, Omega-3 fatty acids are helpful in keeping hair hydrated. Oils provide certain vitamins, minerals and essential fatty acids to hair which not only strengthen roots but also enhance overall health of hair. Coconut oil is the most recommended oil by hair experts. Coconut oil protects hair from dandruff and sun damage. While accelerating hair growth, it also removes build-up of sebum from hair follicles. Boiling Chinese hibiscus flowers in coconut oil and straining before application is also very helpful. However, olive oil in place of coconut oil is recommended in case you were suffering from hair fall. It is not good to wash your hair every day. This is one of the biggest reasons for hair breakage. Rinsing conditioner with cold water is good. It improves strength and shine of hair. Do not brush hair when it is wet. Extreme care should be taken whenever you are combing wet hair. They are more susceptible to breakage in this condition. Avoid alcohols, silicones and sulfates in shampoos and conditioners. Sulfates strip hair of essential oils. They dry out hair. It is therefore sensible to buy only natural and organic hair care products which are free of sulfates. Honey is hair-friendly. It moisturizes hair. Antibacterial properties in honey are helpful in curbing dandruff. Coconut oil is also helpful in retaining moisture. It is quite non-greasy and very useful for extremely dry hair. You are wrong if you thought that shampoos are harmless products. Several shampoos contain chemicals which are absorbed by the body. Sulfates and parabens are found to seep into our system and interfere with our endocrine system. These can also cause serious diseases. It is therefore sensible that we choose all-natural shampoo options and stay healthier. All-natural organic shampoos are supposed to contain natural ingredients. They can be used on a regular basis and there are so many options available out there. However, it is best to check the list of ingredients on the label to ensure that they are all natural. Organic shampoos generally use plant based products which are gentler on hair and more effective in cleaning. They are also helpful in protecting hair. Besides, staying away from harmful chemicals that are there in regular shampoos is always better. Some of the harmful chemicals which find their way in non-organic shampoos are listed. Be aware to stay clear of them for your overall hair health. Formaldehyde – This chemical is well known for preserving dead bodies. Formaldehyde is found in most non-organic shampoos available in shelves today. Ammonium Chloride – This product is harmful when ingested. Ammonium chloride is a major cause of eye irritation while shampooing hair. Methylchloroisothiazolinone – This is another preservative which causes problems to skin and the immune system. Keeping away from this chemical is very important. Propylene Glycol – Quite often used as a moisturizer, propylene glycol is a skin irritant and linked with respiratory and immunity problems among children. Sodium Lauryl Sulfates – This chemical is known to cause cataract in adults. Used in manufacturing many store-bought shampoos, sodium lauryl sulfates are the cause of improper eye development in children. Derivatives of Lauryl Alcohol – Derivatives of lauryl alcohol are found to be harmful to the human organ system. It can cause irritation of skin and eyes as well. Olefin Sulfonate – This is deodorized kerosene which possibly harms organs and hormone function. Olefin sulfonate is also highly irritating. Organic shampoos alone may not be able to deal with all types of problems that you have with hair. Depending upon the specific causes other treatments may also be required. However, finding a good quality organic shampoo with the right ingredients will help you in maintaining nice and clean hair. Organic shampoos also provide essential oils to hair along with extracts which are required for growing strong and healthy hair. It is difficult to obtain similar benefits with non-organic shampoos because of the chemicals and additives they contain. Don’t think that organic shampoos are single products and you may not find the right type which is suitable for your type of hair. On the contrary, there are many varieties of organic shampoos just like other major label brands. There are organic shampoos which are meant for people with dandruff, dry hair, oily hair and other types as well. With a little probing, you will be amazed to see the kind of variations you can find. With some experience you will be able to find exactly what suits your hair. 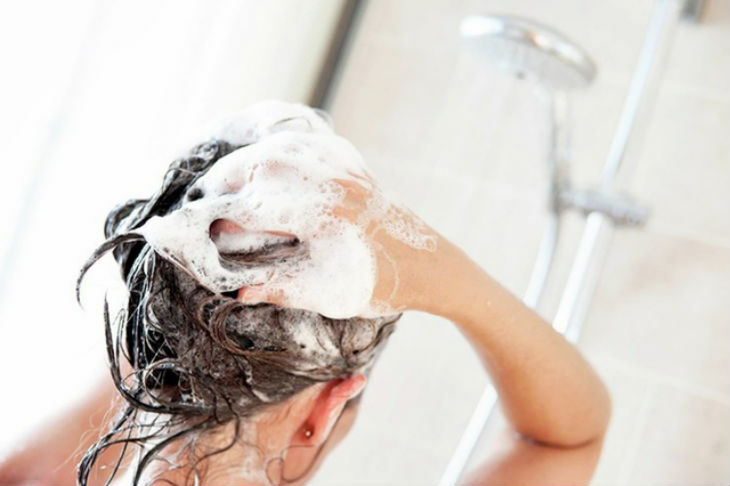 Making organic and natural shampoos a part of regular hair care has got numerous benefits. Effects of organic shampoos and conditioners are immediately noticeable. These gently infuse skin cells and hair follicles with oils, herbal extracts and natural minerals. It is highly recommended that you choose organic products made with aloe Vera and coconut oil for stimulating healthy hair growth. Both these ingredients naturally moisturize the scalp. But if you are looking for enhanced shine and moisture, organic Shea butter is what you should essentially be having as an ingredient in your organic shampoo and conditioner.